Today I’m remembering — fondly, but through tears — a special trip we took in 2006 to Starved Rock State Park in Illinois. We chose that as the location for a family reunion, probably the biggest gathering my extended family has ever had. My younger brother Don came in from Iowa, joined by 13 of his 14 children. My brother Dan came in from the Detroit area. Sister Carol came from Vermont with her two children. Mom came up from the Kansas City area, the last long trip she took by car (Mom’s in a memory care unit now). Cousins that we hadn’t seen for decades came in from around the Midwest. We had good-natured fun with roasts to note Don’s 50th birthday, coming up that fall, and a granddaughter put together some slides as an observance of Mom’s 80th birthday, which would be that December. One of my favorite memories of that gathering was the bond between two of my nephews, Brandon Buttry and Patrick Devlin, both 13 that summer. They hung out together pretty much all weekend. When we hiked the rocks and canyons of the park, they scrambled together up the steepest inclines, exploring the park more aggressively than their younger siblings and cousins or their older siblings, uncles, aunts and parents. No one enjoyed the park more than Brandon and Patrick did. Few people enjoy life with the gusto that Brandon and Patrick did. Dan and I, both Eagle Scouts, took Patrick and Brandon to the nearby Ottawa Scout Museum. Patrick was a Scout, determined to join his uncles as an Eagle. 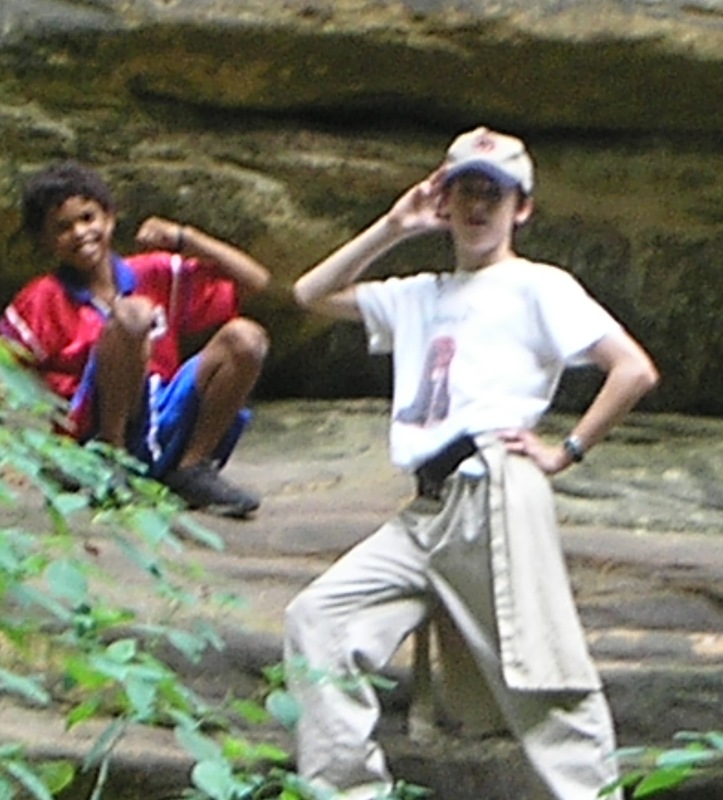 Brandon wasn’t in Scouts, but he tagged along because he and Patrick were pretty much inseparable that weekend. They are together time and again in my photos of the gathering. And they will always be together in my heart — nephews we lost too young. Neither of those wonderful young men made it to their 20th birthdays. 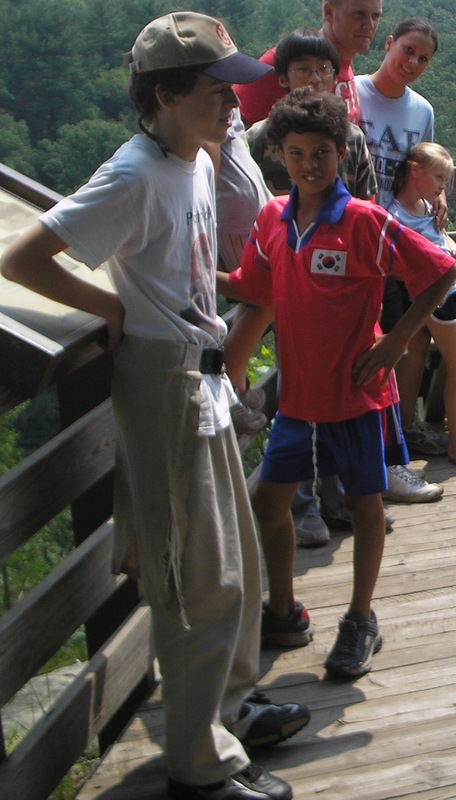 We lost Patrick to leukemia in 2009, a year after climbing mountains at Philmont Scout Ranch, but before he could finish his Eagle Scout project. We lost Brandon today, killed in action less than a week after earning his Combat Infantry Badge in Afghanistan. I don’t have much more to say. It’s hard to write even this much. Just this: Cherish the special young people in your life. They have so much promise, but you never know how long you will have them. 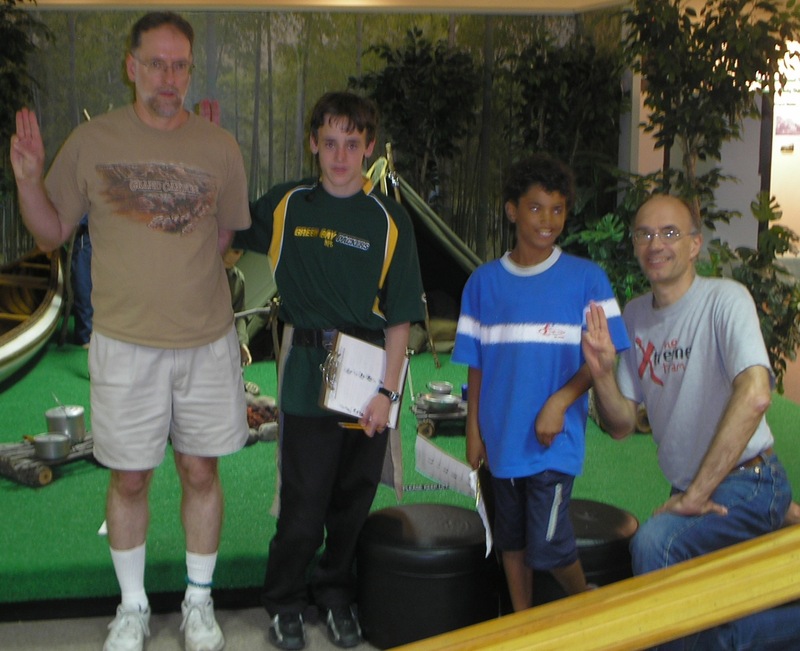 From left, me, Patrick Devlin, Brandon Buttry and Dan Buttry at the Ottawa Scouting Museum. 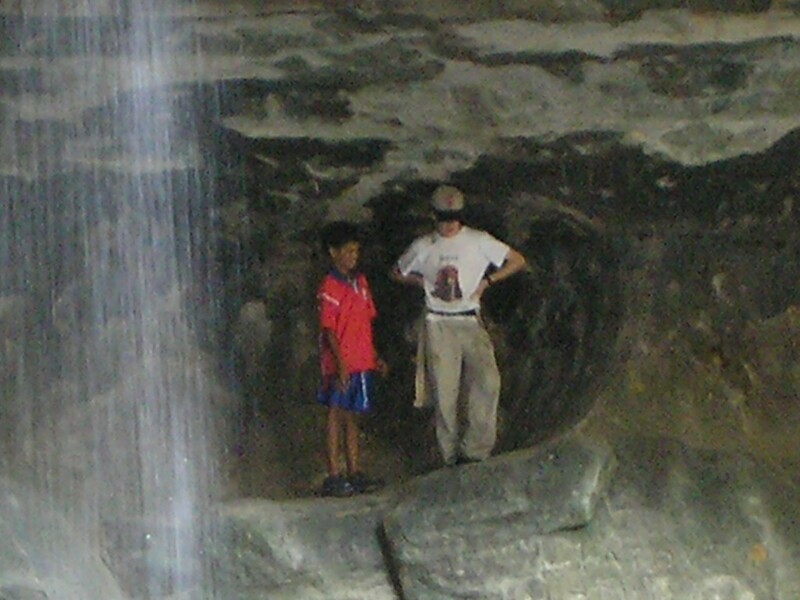 Brandon and Patrick behind a waterfall at Starved Rock. 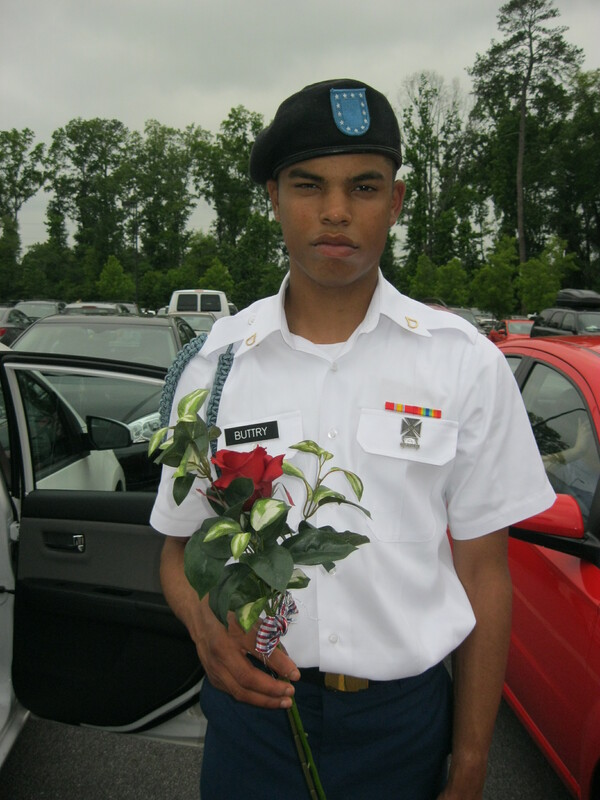 Brandon Buttry in May, graduating from basic training at Fort Benning, Ga., in May 2012. 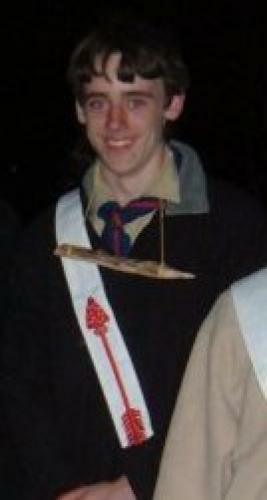 Patrick Devlin in Scout uniform. This entry was posted in Family, Uncategorized and tagged Brandon Buttry, Patrick Devlin by stevebuttry. Bookmark the permalink. Steve. They ere lucky to have you as an uncle.